Exciting and engaging, Kojey uses the visuals as an exploration into elements of his character. The track revolves around growing up and maturity. The cinematic visuals add to this, following the young rapper in a story of struggle and celebration. The transition from his younger self and the love and protection he displays for his family is artisitcally depicted, albeit a dystopian and enigmatic style portrayal. 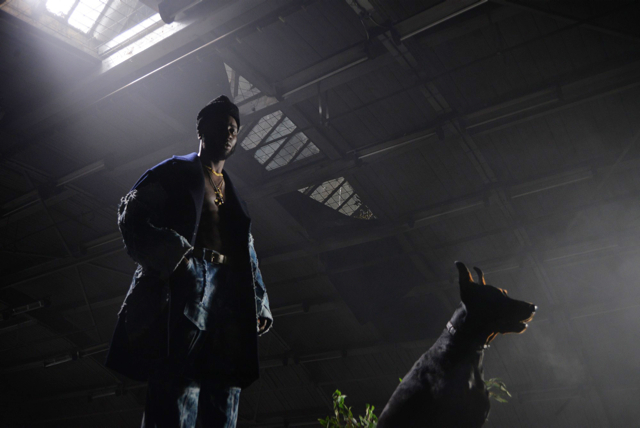 Constantly reinventing the wheel of what it means to be a true creative, Kojey is cementing himself as one of the most exciting UK talents. With stand-out features with the likes of Shy FX, Ghetts and Swindle in the bag already, expect a jam-packed festival season and details on his forthcoming explosive new project to be announced very soon.